It arrived in a cardboard box with a lot of specification on it. 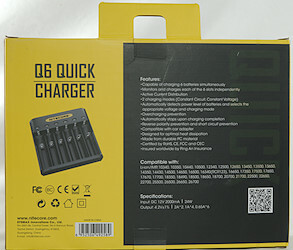 The box contained the charger, power supply and instruction sheet. 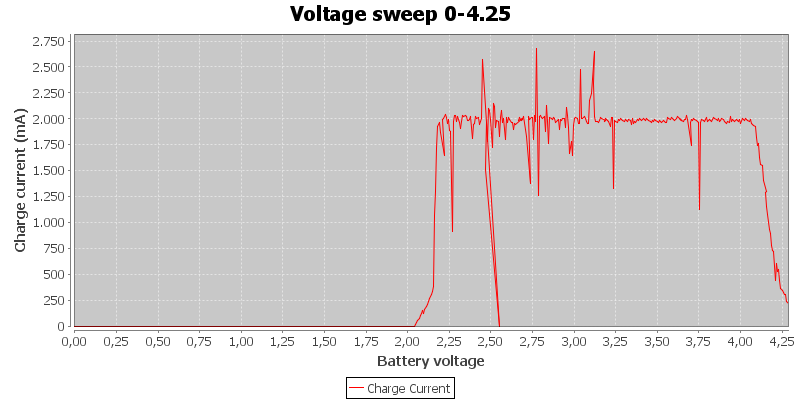 The charger is powered from 12V. 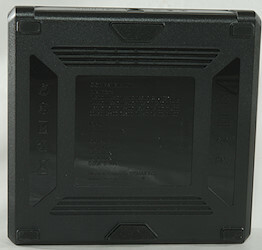 The power supply is a standard 12V plug pack. 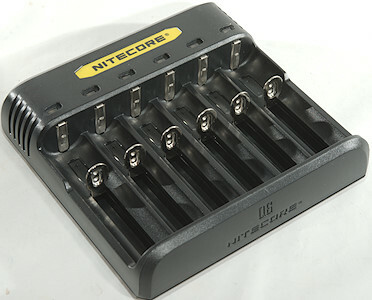 The charger has a LED for each slot and no buttons. 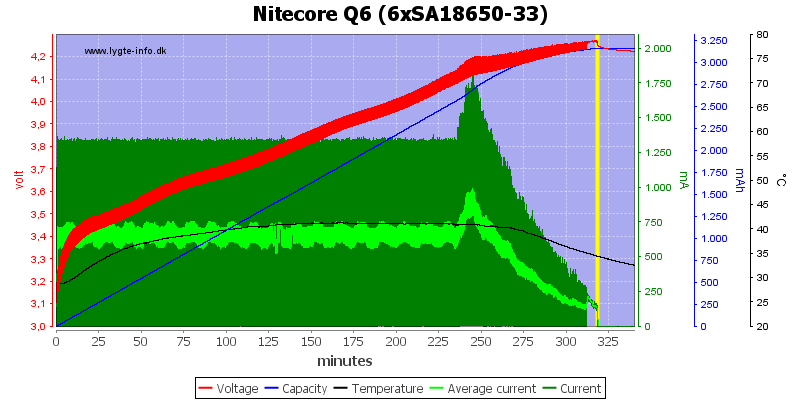 The LED will flash red on error, light red when charging and green when done. 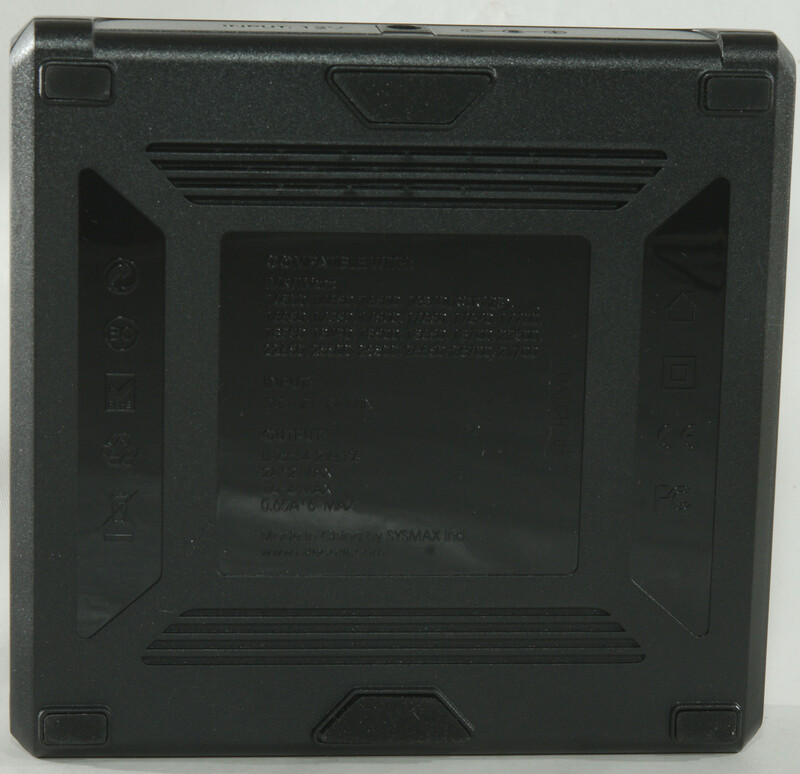 The specifications are on the bottom of the charger, but very hard to read on the black plastic. 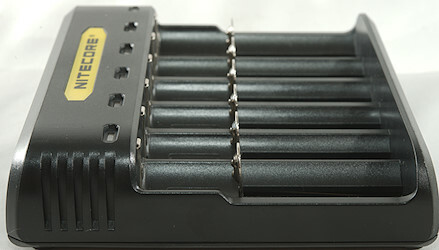 The charger uses the classic slider construction and will handle batteries from 28mm to 77mm, this will handle even the longest protected cells. 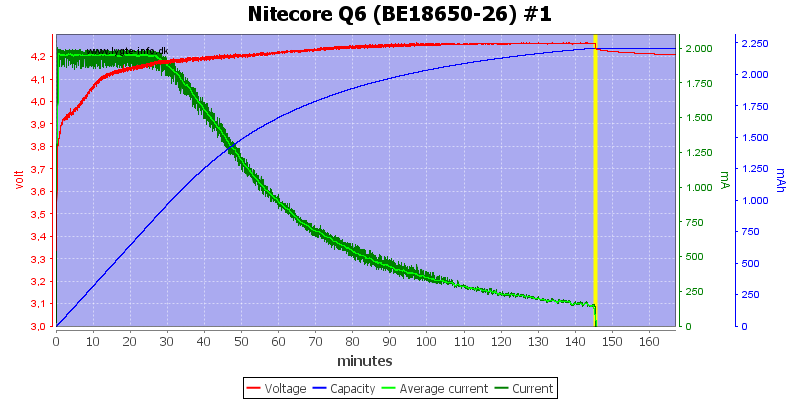 Many 18650 has a recommended charge current below 2A, this will usual mean extra wear on the batteries when charged. 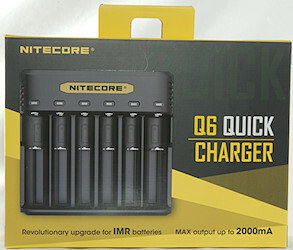 The charger can handle up to 77mm long batteries. Charger will discharge a full LiIon battery with 0.6mA when not powered. 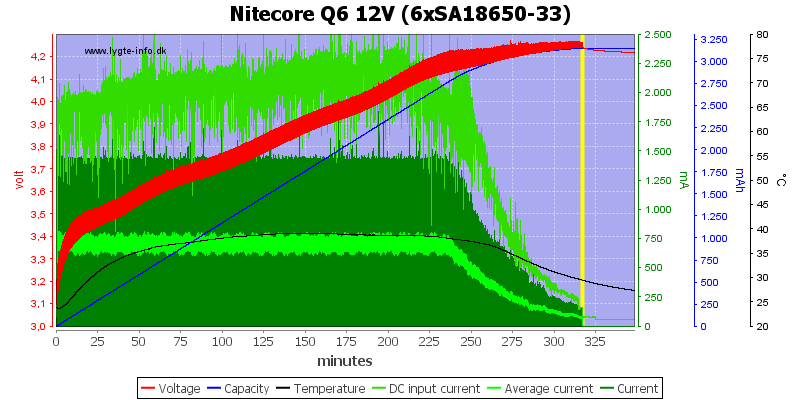 Above 2.1V full charge current will be used. 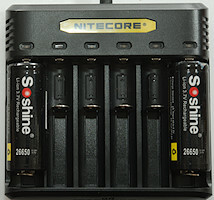 The slots are grouped (1-2, 3-4, 5-6) and each group will timeshare when 3 or more batteries are charged. 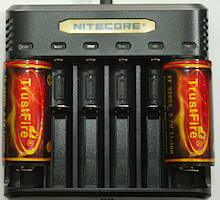 When a battery is full the current to other batteries are increased. Will not restart charging it voltage drops. 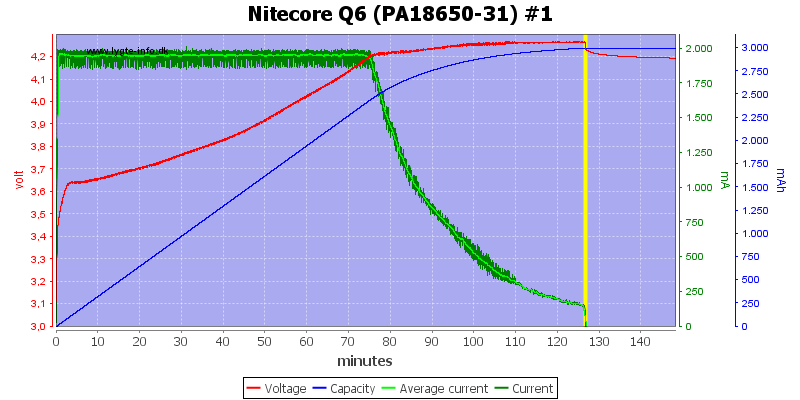 Will restart charging if battery is inserted or power cycled. 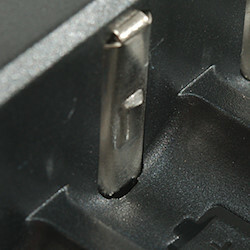 The other slots looks similar, but there is some variation in termination current. 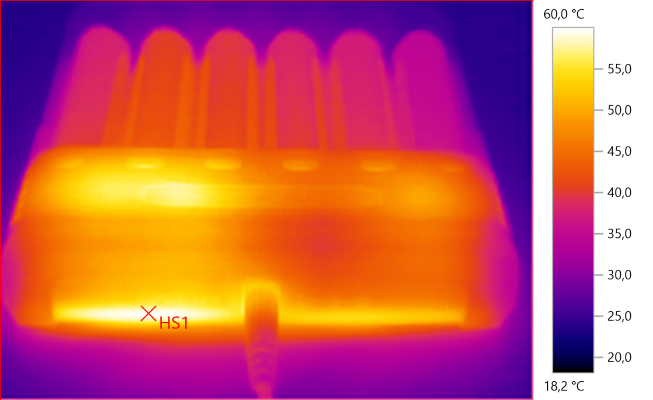 The charger current is high for these cells, but they are charged fine. Even the old cell is charged fine. 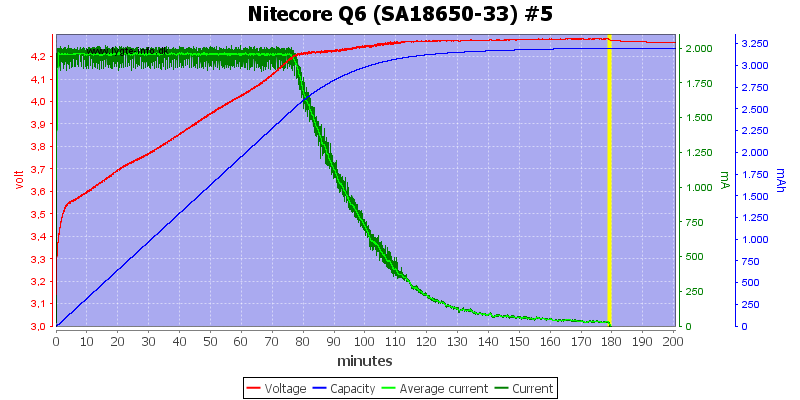 A new high current cell is charged very nicely. 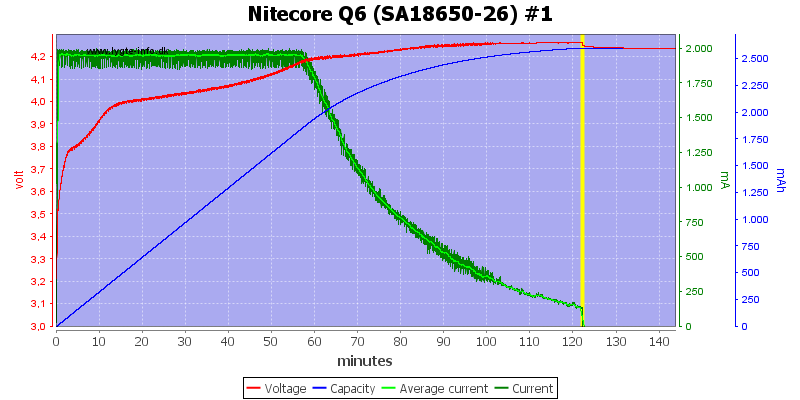 With 6 cells they are all charged at 0.67A, except when one of the cells is full, then the current is distributed to the other cells. 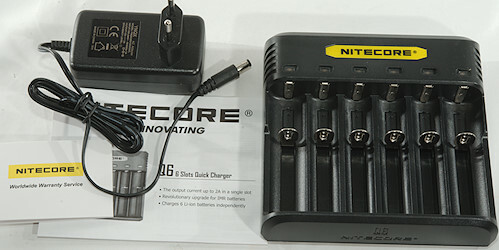 The charger uses a bit above 2A from the power supply with four cells. The charge profile is fairly simple for this charger. 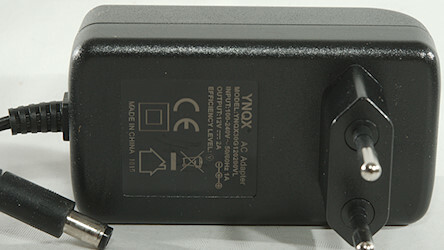 The charger is a slow starter, it need nearly 20 seconds before it has reached full current. 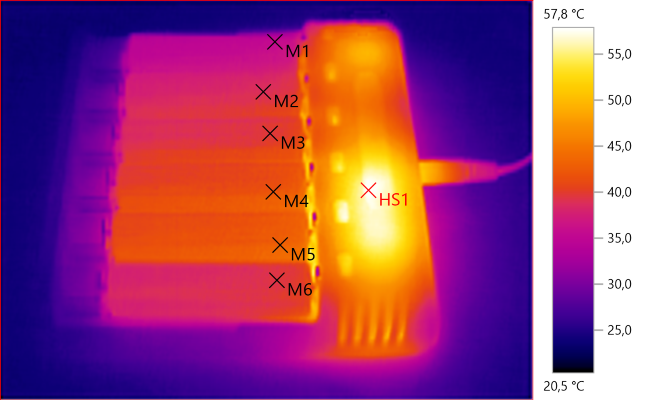 I wanted a close look at the spikes, it is a 10ms pause to measure voltage and a very short spike when starting charging again. 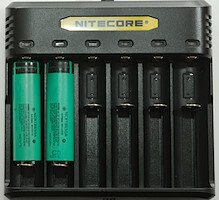 With more batteries in the charger the current will be reduced. 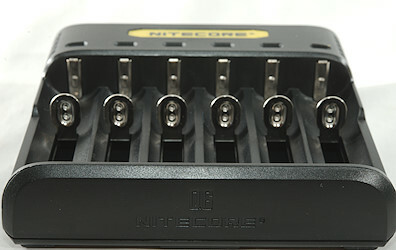 With adjacent batteries (1-2, 3-4, 5-6) the charger switches between the two slots. 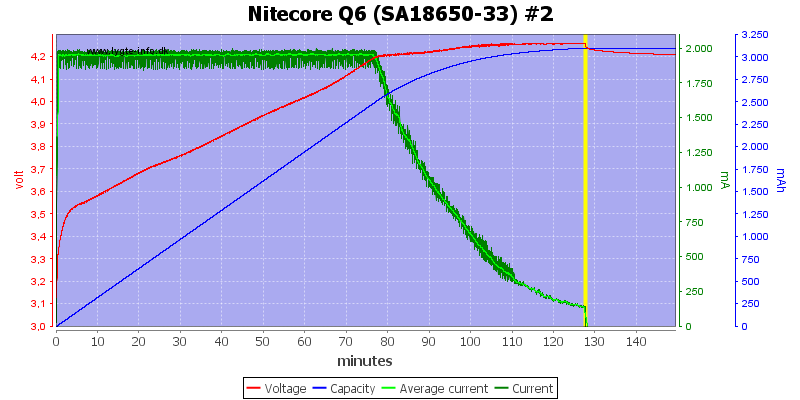 The charger passed the 2830 volt and 4242 volt test, this means it is it is fairly safe. The charger works fine, but due to the 2A charge current it is only for some 18650 and for larger batteries. I would have preferred some slots dedicated for lower charge current. 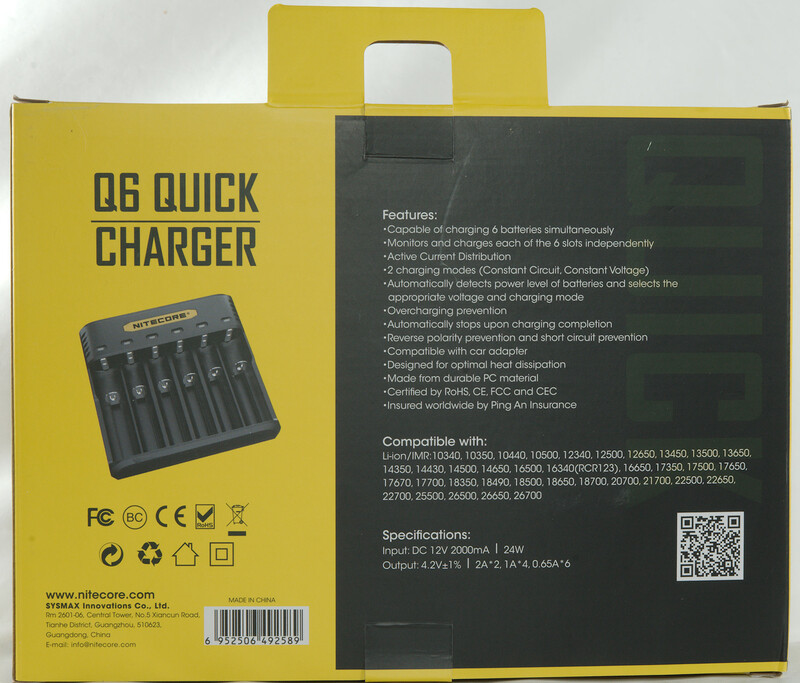 The "quick charger" can be discussed, speeds depends on number of batteries and slots used. 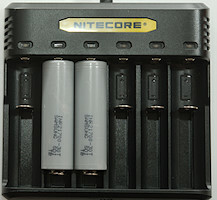 As long as the charger is used for high current 18650 and larger batteries it is a fairly good charger. The charger was supplied by NiteCore for review.